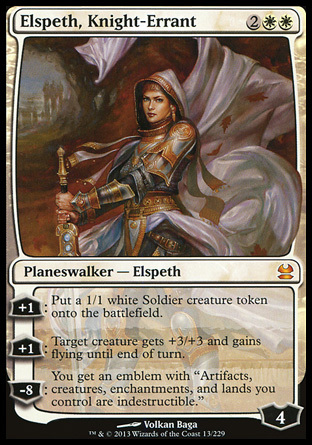 Played Esper control last weekend - had a very uninspiring run with it actually. 1-2-1 and 0-1-2 are hardly results taht you would sing about. Of the draws, one would have been a loss but for my opponent punting the match in turn 5 of extra time with me on 1 life, and myself failing to kill my opponent leaving him at 2 life after turn 5. By far the strangest match was the third draw where I punted a win in turn 2 of extra time, with the match score at 0-0. Yep thats right - a 45 minute plus extra turn single game. After the match the judge commented about our slow play and how he should issue warnings to us. In our defence we did some calculations - at best guess we each took 42 turns! That was some game. A quick blow by blow tale. Baneslayer Angel started hitting me. 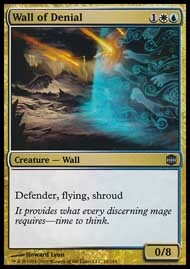 Finally my Wall was joined by a pair of Celestial Colonades which traded one for the sphinx by way of a double block, and then was helpless as the Baneslayer kept swinging into the wall. 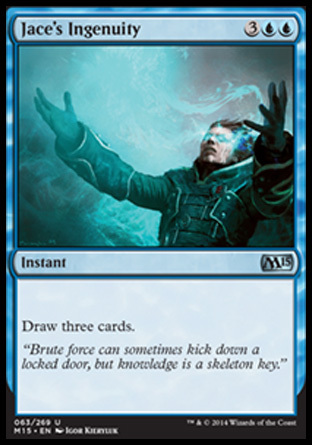 Mystifying Maze and several bazilion mana available, my only hope was to Have my 2nd Jace go ultimate - Which it finally did as time was called. Here I was guilty of allowing the pressure to get to me and failed to count the number of cards in my opponents library. When he condemmed his own creature I failed to Path it in response and the extra card in his library was the difference. So I punted a marathon - but it was a blast to play a game like that... I know I will be a better player for the experience. I have been looking into the roles of various colours in the cube - defining the design philosophy of each colour. The most solidly tribal colour with 57% vampire creatures across the whole mana cost range. Black also bosts a solid removal package. There is a limited discard theme in the cube due to space constraints. Blue is a more controlling colour. Not controlling in a counterspell way, but rather a collection of defending creatures that tie up the board before attacking with evasion creatures for the win. 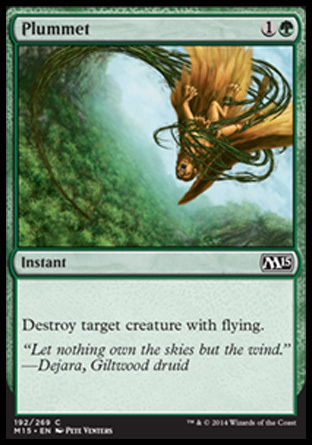 It has lots of flying and evasion creatures, backed up with disruption effects. 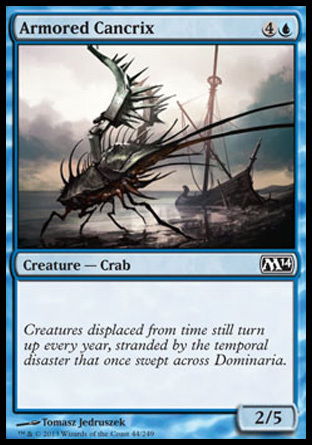 With M11, blue received an almost 33% infusion which is causing me to consider reducing the number of creatures in blue and expanding the spells available. Small knights backed up by flying angels. 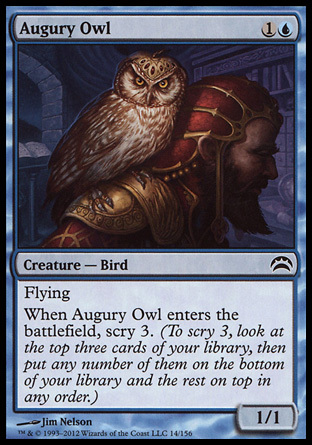 Nothing too cute here, white is intended to be the leading source of flying creatures. Add to this the best global sweepers and number two in creature kill and you have a nice package. 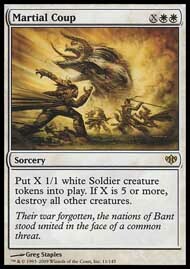 It has been noticable that the introduction of M11 into the cube that White is very strong in the creature department. It is the first colour where it is a struggle to add new creatures. Green is critters, criters and more critters. It is the meat of the sandwich - the colour that is not easily stand alone but plays well with other colours. Hasty creatures, dragons and goblins. Removal via burn spells. 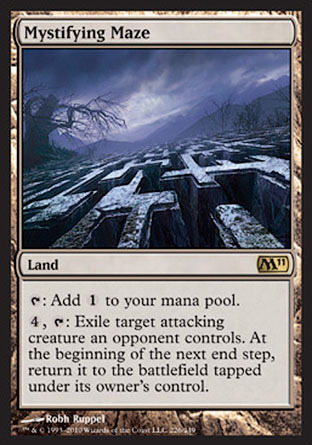 Artifact and land destruction in lesser doses. Launch Party - What a day thet was! 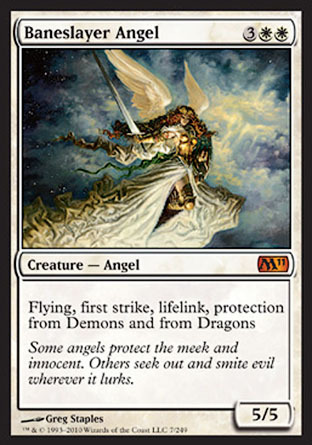 Baneslayer Angel! What a blast! Needless to say it went into the cube at light speed! I went 3-2 and learned a lot about M11. Its a different environment which is very intensive skill wise - learning limited again is prooving tough. Played the prerelease and went a disapointing 1-3-1. Opened a mediocre set of packs and struggled all day - It was like I had a selection of good supporting actors with no real stars. Still it was a fun day - this is cretainly the best core set I can recall for some time. 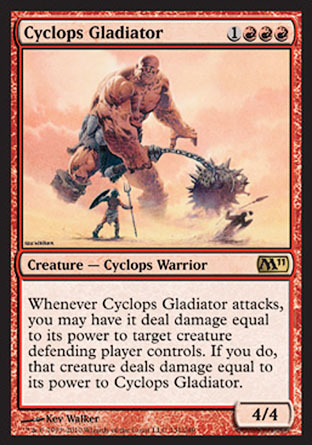 Cyclops Gladiator - Faced a deck with 2 of these suckers - in fact a foil and non foil opened in the same pack! These guys were insane and made life a living hell. 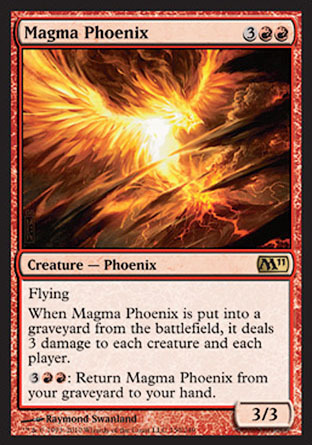 Magma Phoenix - Not a new M11 card but I gained a newfound respect for this card. It is headed to one of my Tuesday night decks as the power level is pretty sick. 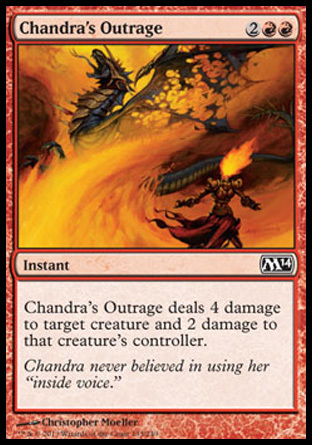 Chandra's Outrage - A very solid performer which punched above it's weight for my opponents. I do regret not playing red to bring this card into my deck. Cultivate - As good as advertised. Will be finding a home in my Three Maigos deck as soon as I crack my boxes. 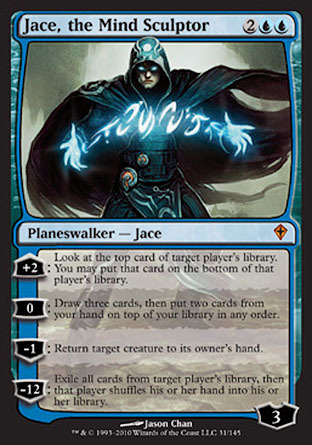 Jace's Ingenuity - An underperformer in the limited environment in my opinion. Too hard to cast reliably. 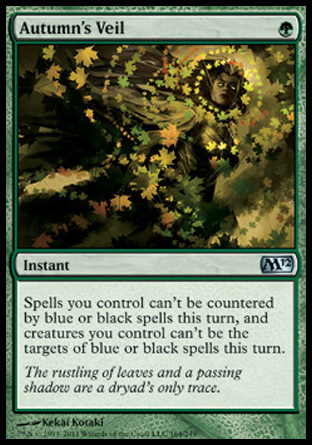 Autumn's Veil - This card was amaxing - I had it played against me on two occasions and it wrecked me. Plummet - As solid as I thought it would be. Armored Cancrix - A solid body that ties up the ground very nicely. Something is missing in the game of Magic - Individuality. I have noticed a trend where most players are blindly following that which has done before. 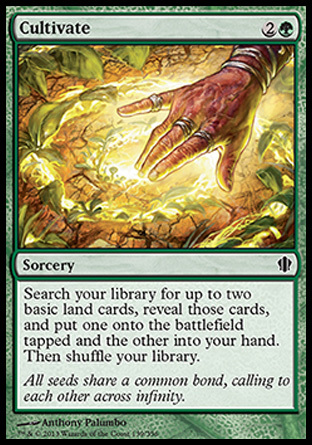 Mindlessly copying the latest winning deck off the net rather than putting the effort into exploring the format and developing their own deck using cards that others may have overlooked. I will be the first to admit that I too have done this. It certainly is easier than all of the hard work that goes into creating your own decks, but it adds sameness to the environment. Thinking about this some more, is the lack of individuality of deck design could also be a contributing factor of the prices of the chase rare cards - once a card "makes it" into a deck that does well it attracts a "success premium" to its retail price. The solution - take the path left travelled. Just because everyone plays with these three decks doesn;t mean that there are not options to zig to their zag and find enough clear air to own them when you next cross.